The aim of this group is to try and give people support and spread positivity through the community. We accept all types of art about spreading awareness, help and support, and any advice on issues. Anyone can join and get involved, especially those who are dealing with a problem whether it is something to do with your personal life or having trouble with your artwork, and you would like advice on the issue. Why should I bother joining the group? We have rewards in place for members who are active in submitting deviations and help out other members. Not only will we feature members and their deviations who catch our eye but we will also be handing out points to these members. We welcome new members and love to see this community grow. So don't be shy and click the Join This Group button to become part of this amazing community. For more information take a look at the Frequently Asked Questions. My wonderful friend Starlit-Butterflies is in need of a new prosthetic eye soon or she will likely need surgery, but she doesn't have the money to afford one in the time window needed. Helping her out whether by sharing her gofundme around so more people who can help her can see or with a donation is greatly appreciated. Please help my friend (Urgent)My incredibly kind friend @starlit-butterflies has a prosthetic eye she needs replaced soon or else she will likely need surgery, however she doesn&apos;t have enough money to get it done in the time window she needs it. If you are able to help share this around so more people who may be able to help her see it or would be willing to help with a donation yourself I would greatly appreciate it.you can find more information in her journal here :Emergency gofundme for My Eye (Please Help)3 days agoI don't usually like to post about my personalAnd here is a direct link to her gofundme :https://www.gofundme.com/a-new-ocular-prosthetic-for-carysThank you for taking time to read this. 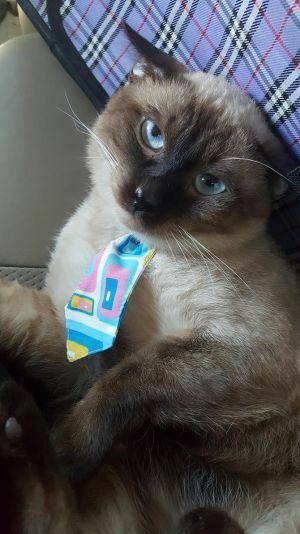 I have a cat named Sushi, he's a siamese who's been with me for a year and 7 months so far. He's just been the sweetest thing. He's the kind of cat that sits next to your laptop when you're working and kind of falls asleep there. Or-- doesn't let you hug him before you sleep, but when you wake up he's sleeping over your leg, or arm-- or just kinda beside you. He never acted out during his deworming, rabies or tricat injections - he's a sweetheart during vet visits. Warning: Below contains videos of a cat's litter and vomiting/coughing. I didn't want to stand back and watch, believe me. I wanted to take him and comfort him badly, but I needed the videos to show the Doctor how he was acting and what he was experiencing. Today is the birthday of my wife.. and i wan give she a Cake badge.. but i have only 6 points… The Cake Badge is 80 points… please… is my wife..
My Situation (Need $)I, honestly, don't even know where to begin with this. It's not something I ever thought I'd make public, and it's not something I ever thought I'd be going through. I'm Kale, and I'm 17. My mother moved back in 2 years ago, after being gone my entire life. She moved in, not only after being fired from her job, but after being kicked out of the apartment she was living in. To avoid any confusion, she did not come back to rekindle 'lost love' with me, or anything like that. I was living with my grandpa prior to this, and she's turned herself and him into alcoholics. They do not feed me, they won't let me get my driver's permit, and she is incredibly emotionally abusive. She shames my body, my personality, and just about anything else she can think of. And since she's moved in with me, I have almost dropped out of high school numerous times, and am not passing a single course. 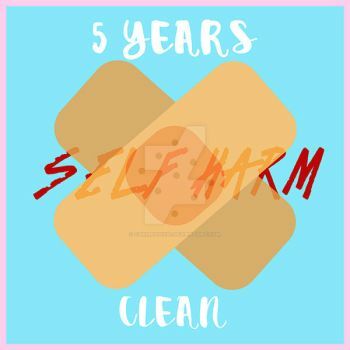 I'm looking for support, even if just someone to talk to. Long story, short: I live in an extremely emotional abusive household, and I'm trying to get out of this situation. I'm here looking for assistance on a bully/stalker named meatbutter. They seem to call out a deviant named @/peaceful-daydreams a lot, who's a friend of mine. They do this a lot, and from my understanding, this person does this all the time, and it's because of a fight that happened 1 year ago. The bullying hasn't stopped and I am hoping you can help out with the situation in some way? Suggestions, perhaps? Mistakes happen, and this person doesn't seem to understand; they're making accusations that should be done and over with but they don't know when to quit. I hope you can help her out, for it's unfair. I'm assuming you'll suggest a ticket to the help desk, but I'd at least like some suggestions just to be on the safe side. LCD FAILUREHello to every one! 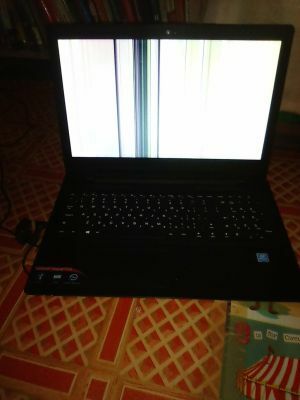 So my laptop has a LCD Failure It costs thousand peso (Php) ; n ; And I need some donations. You can donate in USD, EURO, PHP and etc. And any amount is very appreciated and can help me a lot. For my commissioners YukiTakashi and katagro and a raffle entry for Art-attack123 I'm so sorry! I can't draw without my laptop and Now, I'm just borrowing phone and laptop to my cousin.. I'm not forcing you to donate, but it's very appreciated. Please help me spread this journal. Thank you! If you want to donate points instead of money, you can donate (so I'll exchange it for money if it reach 100+ points). That's all for today, I hope some of you understand why I'm still not making your commissions/raffle entry. If you donate or not, thank you very much! Selling stuff on Ebay because I'm poorI need money to be able to stay at a the convention I'm volunteering at. I have a little bit of time but I'm not sure if I'll be able to sang enough commissions in time. It would also be nice for me to beable to buy food for myself while I am there and not have to piggy-back off people. So, ebay. I only have 2 listings at the moment but I will be putting up more soon! You can check out the items here! Any left over money will be set aside for either a car or for me and my affiance to get married! Any shares would be much appreciated. Thank you! Hello! I tried to do it by myself but I could not. A few days ago I found a Redraw from a drawing by Hatsune Miku. That drawing had already seen it in many places (the original) so I did not give much importance, until I noticed if I had given accreditation to the original artist. He did not do it. On top of that he put the copyright mark and in the description did not mention that the design was not his. "I finally decided to practice some new techniques and it took me a lot of effort for this new style with higher quality." I tried to talk to him to make him see that this was wrong and at least he should give accreditation to the original artist. He told me that I did not know anything about copyright and that he would stop bothering him. need help with art tablet?a few days ago, i was drawing with my wacom cintiq 13 hd pro and the stylus started lagging, i noticed there was a pink line dragging along the end of the stylus which was causing it to lag, i think, i tried re-callibrating the pen, i tried updating my mac and the software, but i cant seem to get that line to go away and its preventing me from drawing, i tried calling the wacom customer support but they told me it would take 48 hours before they got back to me, i posted a video of it, if anyone knows how to fix this please let me know, i would really appreciate it and would draw you something in exchange for helping me.